A company’s IT department deals with integration of hardware and software solutions in order to support storage, transfer and protection of information. As companies expand, their needs for IT solutions become more demanding and complex. While small companies often lack budget and justification for a fully-employed IT team or expert, they often our source their IT requirements to third party companies. Large companies, on the other hand, may benefit from IT outsourcing as third party professionals may come up with better solutions for certain needs. IT outsourcing often includes the transfer of the whole IT department to a third party agency which has people and assets for performing the service. High acquisition costs of computer components and software has forced many large businesses to rely heavily on outsourcing their IT functions. Another reason is the high management costs of employing an IT support team. IT function outsourcing is regulated by long-term service agreements, which include all aspects of service delivery. These include responsibilities of a client, hardware infrastructure, asset utilization and call to fix response times. 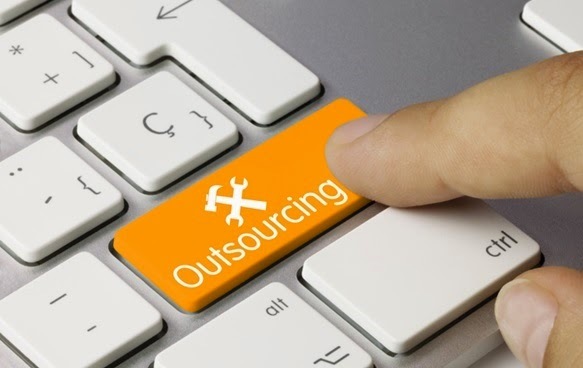 Another name for outsourcing is off-shoring, as sometimes remote IT support is delivered form call centers located in foreign countries. The purpose of off-shore call centers is to save money by employing a steady flow of highly skilled workers in countries with low GDP like some South Asian countries. Although it is rare for a smaller company to have its IT functions outsourced to a third party agency, the cost of provided IT services by an outsourcing company usually beats the cost of employing in-house IT administrators. One of the most common problems with IT outsourcing is that a third party agency may lose control over customer support issues. And replacing poorly performing supplier in the midst of a contract may turn difficult, as terms and conditions of the service level agreement restrict and early break-up of the partnership. And employing and training an in-house expert after the break-up is not a simple thing. Finally, a rogue employee in the outsourcing company may misuse the entrusted sensitive data and cause damage to client’s reputation or finance. The first and the foremost, outsourcing facilitates reduction of IT service costs. The service suppliers not only have capabilities to employ highly skilled engineers and support staff, but they are also in position to acquire hardware and software at lower costs. Outsourcing the whole IT department or a part of it helps an organization focus on its primary business activities, investing the time and resources that would otherwise be spent on solving IT issues.